إن فندق Mountain View Motor Inn & Holiday Lodges بموقعه الممتاز في هولز غاب هو نقطة انطلاق جيدة لنزهاتك في غرامبيانز. يمكن من هنا للضيوف الاستمتاع بسهولة الوصول إلى كل ما تقدمه هذه المدينة النابضة بالحياة. يشكل هذا الفندق ملاذاَ مريحاً للاسترخاء ويمنح زواره فرصة للاستجمام والتجدد، وهو يقع على بعد خطوات من المعالم السياحية الكثيرة للمدينة كمثل: ‪The Balconies‬. ببساطة كل الخدمات وأساليب الضيافة التي تشتهر بها Golden Chain تجعلك تشعر وكأنك في بيتك. هذه بعض الخدمات الموجودة في هذا الفندق: مرافق مخصصة لذوي الاحتياجات الخاصة, واي فاي في المناطق العامة, صف السيارات, غرفة عائلية. تتضمن كل غرف النزلاء وسائل الراحة والتسلية المصممة خصيصاً لضمان الراحة القصوى للضيوف. كما أن مجموعة الخدمات الواسعة الموجودة في الفندق لضمان راحتك تترك لك الكثير من الخيارات لقضاء وقتك أثناء فترة إقامتك. إن كنت تتطلع إلى إقامة مريحة وهادئة في غرامبيانز، فستجد في Mountain View Motor Inn & Holiday Lodges بيتك الثاني. Very pleasant staff, very clean but outdated and should be closer to $100 than $160. Spent 2 night here. The reception lady - Cheryl provided good information for meals and attractions to visit although some of her information was incorrect. Saw wild kangaroo, emu and rabbits at the premises. Rooms and toilets were clean. There was even a washing machine and foldable drying rack provided in the lodge we booked. Room was spacious, and bed was comfortable. Only thing is that you will need to go to the lounge room to access the free wifi, otherwise there is no internet, not even 4G. We stayed for 2 days. The owner was very nice. He show us where to go and where to take photos in Granpians National park. The room was clean and quite. When we purchased our stay we were lead to believe we were having a lodge for an evening, all the photos that were shown were inside of the lodges, no mention of the motor inn at all. we booked it thinking we would have an open fire place in the bedroom which was the main attraction for us as it was quite cold when we were there. When we got there we were staying in the motor in. the bedrooms were suffice, they were clean and comfortable and bathroom was alright. wouldn't stay there again unless it was in a lodge as they looked a lot nicer. As you were told you are unable to get consistent internet from any of our rooms. We provide an internet area (which you can easily access internet) It is not for you to decide which room to take and we stand by our decision as there are many reasons why people are given rooms. Please find another motel that has internet in the rooms for your convenience in the future! Such a lovely place with a welcoming couple who manage it. The rooms were modern, cosy and very clean. 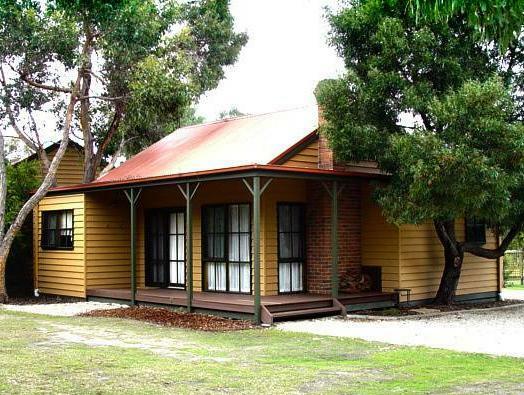 Had everything you needed and perfect location for all the main Grampians sights. Friendly staff but dirty room. Location is not bad. Drive 5-10mins to central town. The room doesn't not have enough light and smelly. Wifi never work. Not a place I go back. the hotel staff is very friendly and helpful. Nice and comfortable property to relax and enjoy the wildlife... Owners Tom and Cheryl were awesome and great hosts..Had fantastic experience to spend sometime in the backyard of the room with many roos... Would love to go again!!! It was a fantastic place. We stay there for 2 nights, in an isolated 1 bedroom lodge. Lodge was clean and well-equipped. Staffs were very friendly. There were even some kangaroos outside at dusk. Mountain View Motor Inn was a fantastic accomodation. We stayed two nights there. The amenities in the lodge was great. The location was also excellent. Tom was really friendly and took it upon himself for us to have a great an enjoyable stay. Highly recommended! Room looks newly revamped - It's very clean. There is electric bed warmer and heater. Friendly staff. No view of mountains thou. Covered by trees. Full view of sky full of stars at night.